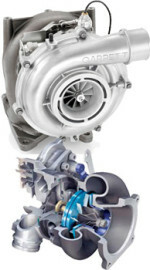 Turbo Exchange are the leading turbo suppliers in the industry. We offer impeccable turbo service to our valuable customers. Established in 1986, Turbo Exchange is a company dedicated to the Southern African Turbocharger industry. Originally located in Johannesburg, branches were later established in Durban, Port Elizabeth and Cape Town where each facility has a comprehensive stock holding and repair capabilities. Total staff compliment includes 45 members where the majority has over 15 years turbo service with the company.